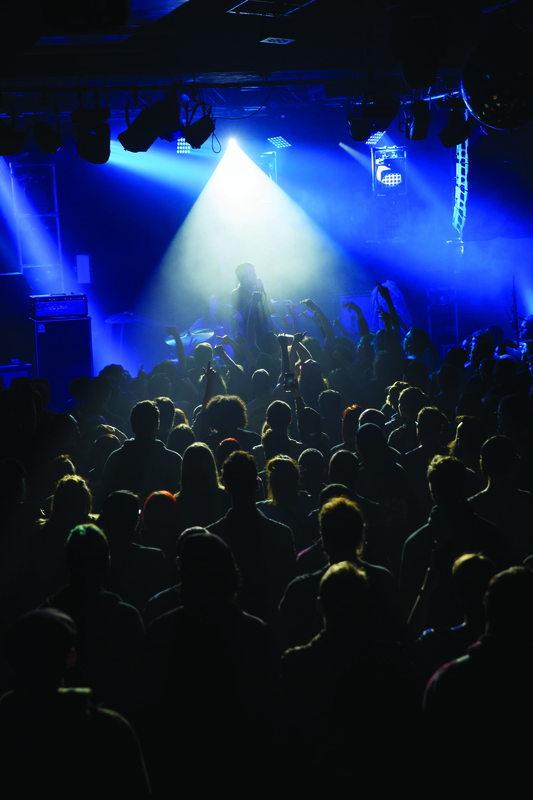 Music forms a core part of Seattle’s identity, so it’s no surprise that the city boasts plenty of top-notch concert venues. Start big at KeyArena (*305 Harrison St; keyarena.com), where visiting megastars like Jay-Z perform for massive crowds. Find similarly large acts playing a night (or two) at the legendary Paramount Theatre (*911 Pine St; stgpresents.org). The Paramount’s proprietor, Seattle Theatre Group, also manages two other excellent concert venues: Moore Theatre (*1932 Second Ave) and Neptune Theatre (1303 NE 45th St). The seated Moore caters to veteran acts, while the Neptune often showcases up-and-coming groups, along with local stalwarts. When it comes to solid shows, you can’t go wrong at the Showbox (1426 First Ave; showboxpresents.com) and its larger sister venue Showbox SoDo (1700 First Ave S). Both feature open spaces perfect for grooving to the beat from artists like rising electronic star San Holo. Neumos (925 E Pike St; neumos.com) and The Crocodile (2200 Second Ave; thecrocodile.com) are two other venues in town with solid reputations for their range of acts, from EDM to hip-hop to indie artists like America’s Got Talent’s Grace VanderWaal (Neumos, Feb 23). For Seattle musicians on the rise, try Chop Suey (1325 E Madison St; chopsuey.com) on Capitol Hill for alt-rock and hip-hop acts or Ballard’s Sunset Tavern (5433 Ballard Ave NW; sunsettavern.com) and Tractor Tavern (5213 Ballard Ave NW; tractortavern.com) for folky singer-songwriters. Downtown’s The Triple Door (*216 Union St; thetripledoor.net) offers a unique experience via a seated dinner setting for concerts, burlesque shows, and more. Keep it equally classy at Dimitriou’s Jazz Alley (2033 Sixth Ave; jazzalley.com), where two levels offer plenty of seating for smooth jazz acts. If musical variety is what you seek, look no further than Seattle’s bevy of music festivals. Upstream Music Fest + Summit (June 1–3; upstreammusicfest.com) features music from hundreds of genre-spanning regional bands spread across dozens of venues—plus keynotes about the music industry and workshops for artists. Labor Day’s Bumbershoot (bumbershoot.com) is a blockbuster affair starring huge names (notable 2017 acts included Lorde, Weezer, and Flo Rida), while July’s Capitol Hill Block Party (capitolhillblockparty.com) draws 100 artists for three days of music across multiple stages.